BlackWell is a highly professional One Page WordPress Theme for creating interior designing websites. It provides an eye-catching look showcasing most important features of your work. A cool thing about BlackWell’s home page is it comes with a single page scrolling effect which grabs visitor’s attention and makes a site look attractive. A start uploading timer is also there to engage the user while your site is getting loaded. 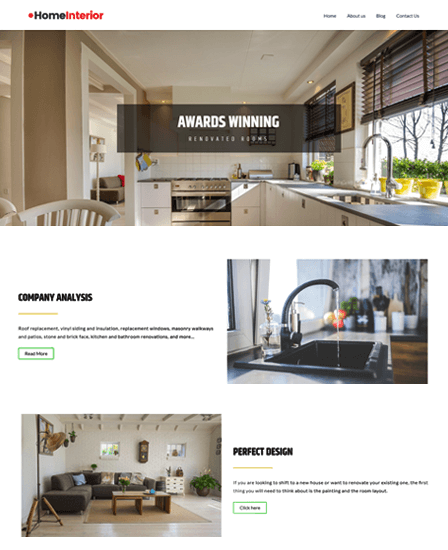 BlackWell is designed on one-page concept that showcases all services within one page making it easier for users to understand your core interior design features. Every part is pixel perfect and provides the great user experience. It also has nice and easy navigation. It is fully responsive in nature i.e.works absolutely fine among various devices like desktop, tablets, iPads, mobiles etc. 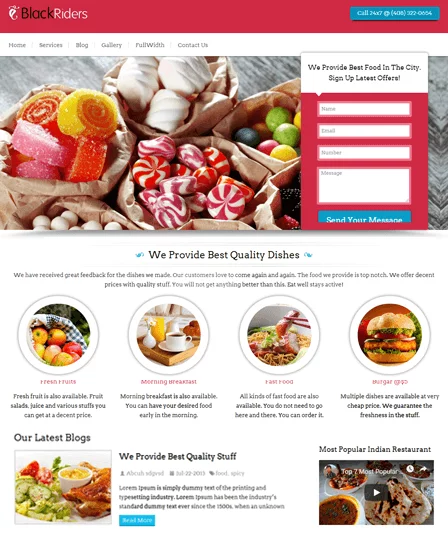 With simple and easy to use options panel, you can easily customize this one page Business WordPress theme anytime as per your choice. Just from the homepage of your website, you’ll be able to provide a very deep insight of your interior design services to your audiences. BlackWell comes with a Fullwidth slider on the home page where you can put pictures of your interior services. You can put maximum up to 6 images in the slider with description and links. In case if you want to add more images in the slider, you can simply do custom coding. The recommended size of slider images is 1600 px wide x 900 px height. BlackWell comes with Push panel (in a menu), which shows all the menus of your website on the left-hand side on the home page. And when it is closed, your slider becomes fullwidth. Your business logo will be displayed on the top of menu strip. Moreover, call to action icon and social icons will be displayed at the top of a slider from where users can visit your social profiles and contact you. You can add a background image, heading background image, tracking code, etc in the options panel. BlackWell comes with font awesome feature. You can use different font awesome icons for your services. Moreover, you can write headings, description and place links in the service section. There is also a video part which comes under work section where you can add video as well. All you need is to embed the code of the video and place it in the options panel. BlackWell gives you an opportunity to introduce your team members directly from a website which is missing in other one page WordPress themes. You can also showcase your team members on the main page with description, name, working profile and social network links. Generally, you can show three members on a website but if you want to show more, you can simply extend the numbers from the options panel. You can add the shortcode and unlimited team members. BlackWell comes with parallax effect feature which gives a nice eye-catching look to your website. You can add a parallax background image from the options panel. Moreover, you can share the valuable feedback with users in a testimonial. In the Testimonial section, you can put user’s image, name, description, and link. The testimonials will be displayed on the main page of a site. Gallery (Portfolio) section is there to add your multiple images. You can simply put the images category vies so that it will show the effect when getting clicks. The images in the portfolio section nicely navigate which enlighten the users. You can write a nice heading and description for portfolio section. The best thing to leverage your business services is to realize users how many clients are already associated with you and using your services. 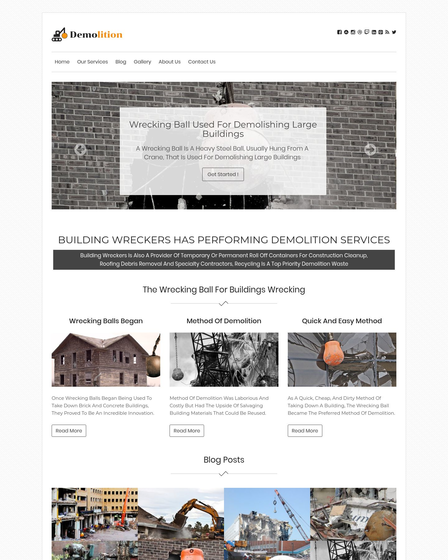 BlackWell creates a difference here than other interior design WordPress themes. You can showcase your business clients on the home page. The maximum you can display 5 business clients on the home page. All your posts will come with the particular format on the home page. Having different posts formats enhance the chances of driving a good amount of traffic on a website. Blog page can be simply made with Blog Template. BlackWell has an amazing feature called as WooCommerece plugin which allows customers to shop online. Any sort of product or commodity can be can be put on sale or purchase with the help of the respective and brilliant theme. Any kind of trade is possible with “BlackWell”. The “WooCommerce” plugin has a shop page where the theme has sections like “add to cart” and “checkout” which can be used to select items and put them in the cart and do the payment and confirm their order. The payment is possible through integrated PayPal gateway system. It is the safest payment gateway available online. 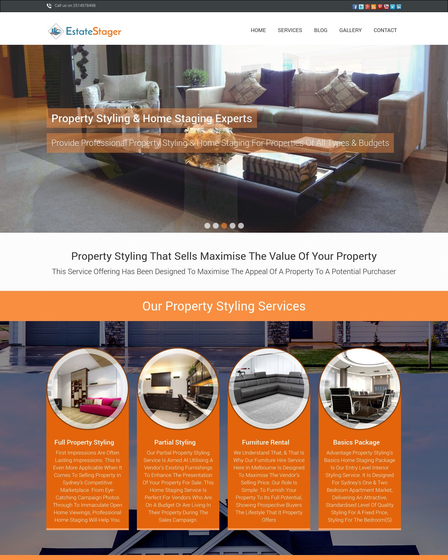 Perfect for interior design WordPress website. 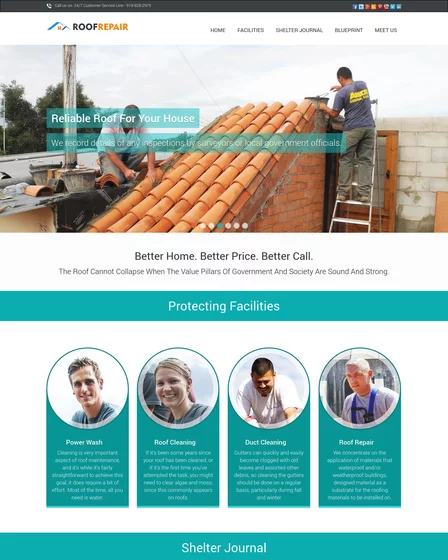 One- Page theme with elegant design. Ability to add drop-down menu.